We are happy to share original material that we generated and published - a large number of plasmids and seeds has therefore been donated to the stock centers and/or addgene. 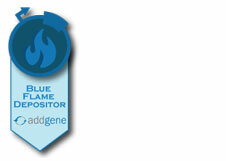 first check whether the material is available from NASC, ABRC, or addgene. If yes, please request from there. specify the exact publication you are referring to as well as the construct name (e.g., pDW151, not 35S::LFY) when material is not available from the stock centers or addgene, and send your request to Detlef Weigel together with the corresponding digitalized MTA signed by an authorized representative of your institution. understand that we cannot provide seeds for lines that produce little or no progeny. This is especially the case for microRNA mimicry transgenics - plasmids are available from the stock centers. More information about our ethanol inducible vector system can be downloaded here. Vector sequences are available for download here. 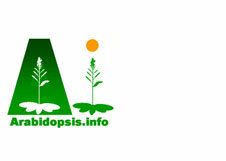 The 1001 Genomes project, investigating genome-scale variation among Arabidopsis thaliana accessions, is hosted here. The site provides several web tools to query and visualize variation as well as a download section to retrieve genome assemblies of individual or groups of accessions, and also several software packages developed in the department . WMD3, our artificial microRNA design tool, computes sequences for the specific knock down of your favorite gene of interest in a large number of species. It is available here, both as a web-tool and software package to download. In the past, we were one of the largest provider of Affymetrix microarray data for Arabidopsis. Our visualization tool for the AtGenExpress data is still available here, together with experiment details and raw data.